Cross-posted from the Constitution Unit blog. The ‘Westminster model’ outside the British Isles tends to be associated with the former British settler colonies such as Australia, Canada and New Zealand. In a new book the influence of British ideas on democracy and institutions across the Asian continent is examined. Here the book’s editor, Harshan Kumarasingham, discusses how the ‘Eastminster’ countries developed political systems with strong institutional and political resemblances to the British system, albeit with cultural and constitutional deviations from Westminster. Brexit doesn’t mean Brexit. Theresa May has been unable to deliver Britain’s withdrawal from the EU or assuage those who wish the UK to remain closely connected with the EU, which has caused anarchic public discord where the Queen wants harmony. The Union risks being dissolved. The Queen sacks her without advice and asks the unelected 7th Marquess of Salisbury to be Prime Minister as a family friend. Like the first Elizabeth the Queen has a Cecil to advice her and be responsible only to her. The public and establishment approve. Scotland decides to become independent, but the government are against this assertion despite historical legitimacy to Scotland’s claim and send in the army to subdue the errant Scots. Utilising dormant laws London suspends the Scottish Parliament and direct rule is imposed. Parliament decides to limit the prerogatives of the Crown but, before the bill passes both houses, the Queen dissolves parliament to prevent it for affecting her powers. The Queen then, through her supporters in the establishment, directs policy through an Order in Council, which does not require parliament’s approval. To pacify English nationalists legislation is passed in the Houses of Parliament removing the official use of Welsh in Wales. As the main political parties are desperate for English votes in the majoritarian system of Westminster they cooperate and remove the rights of the Welsh with a healthy majority. During riots in London sparked by draconian law enforcement and spurred by hateful rhetoric by populist politicians involving a potent cocktail of racism, poverty, discrimination, and the sense of being left behind a major breakdown of control occurs and the police are called in to restore order. The Prime Minister unwilling to take responsibility for tough actions against her natural constituency abnegates from the scene and leaves the Queen as Commander-in-Chief of the Armed Forces and Head of State to restore order and provide safety for all citizens. Perhaps most shocking of all the cellars of government buildings are emptied and the Palace, Parliament and Whitehall are declared teetotal after the extravagance and alcoholic peccadillos of the previous era. These six fantastical scenarios seemingly from the outer realms of political science fiction did in fact occur with different contexts and actors in Asia using the Westminster system following the end of British rule. India, Pakistan, Sri Lanka, Malaysia and Nepal operated under institutions and conventions directly and openly derived from Britain’s Westminster system. Exported across the world more than any other political system the British parliamentary model remains more commonly associated with the British settler countries like Australia, Canada and New Zealand if it is examined at all outside the British Isles. The situation described by Graham Wilson over 20 years ago, echoing Leon Epstein earlier still, remains largely true that for most British political scientists ‘far from seizing the opportunity to study the essentials of their system of government in different settings’ they instead ‘turned inward’ and most courses on British politics in British universities ‘are taught as if the Westminster model existed only in Britain’. Instead an analysis shows Asia in terms of scale and scope providing the most dramatic experiment of Westminster abroad. British and Asian indigenous elites saw advantages in applying this very British system to the very different context of the East. These Asian nations did not have centuries to interpret and adjust in order to develop their constitution as the British had. Instead within months they needed to formulate and design a constitution and therefore invariably drew upon the system of their imperial master. The local elites with the involvement of external actors determined that Westminster could work in the East. Since the Westminster system is based on convention and ambiguity and not rigid rules and clarity the same Westminster system could be adopted and manipulated to produce diverse results and reactions that would shape their countries forever. These states therefore became Eastminsters that consciously had clear institutional and political resemblances to Britain’s system, but with cultural and constitutional deviations from Westminster, five of which will be explored below. The Eastminster states contained no substantial settler population. Instead civilisations, governance traditions and social factors existed that clearly made a British inspired political system’s reception problematic to say the least. Nonetheless, the Asian elite contained a much higher proportion of Oxbridge trained leaders than their settler equals. When examining the decade following independence in India, Pakistan, Ceylon, Malaysia (and Singapore) it is striking to record that nine of the 12 men who served as Prime Minister attended Oxbridge. This is in stark contrast to a comparable juncture in Canada, Australia, New Zealand, South Africa and Ireland where only one of the 12 heads of government went to Oxbridge, and half of them could not claim any tertiary education at all. This illustration, of course, does not hide the deeply unrepresentative nature of Asia’s political leaders or necessarily show their intellectual talents. The overwhelming majority of the governed during these years could scarcely write the names of the favoured few that naturally held power. Sir Kenneth Roberts-Wray believed the constitutions Britain produced for international consumption were ones that could justly be claimed gave ‘the people what they ask for’. Many scholars have criticised such sentiments since the people were never represented in the modern sense at the constitution-making table. However, it can be surmised that Roberts-Wray was trying to convey that constitutions from Britain were not imposed, but negotiated with people who the British expediently portrayed as representing the will of their people, however difficult it is to see how this was so. Whatever else the Asian oligarchs, even if in criticism, were acculturated in British political norms and this was reflected in their political regime choices despite the demographic disparities and prevalent cleavages found across Asia. British and settler accounts of the Westminster model almost uniformly relegate the sovereign or their representative to a solely a ceremonial role, if the head of state is mentioned at all. As Rhodes, Wanna and Weller argue ‘[while the Australian constitution states that] “The executive power of the Commonwealth is vested in the governor-general” [n]o one takes it literally’. In contrast, in Eastminster successor heads of state in British Asia, professedly modelled on the settler and especially British royal template, actually engaged in political activism to say the least and did see themselves as having ‘personal prerogatives’ that encouraged them to intervene in politics. In 1976 the British Conservative grandee Lord Hailsham memorably cast British government as an ‘elective dictatorship’. Hailsham was explaining to his British audience the long observed tendency of Westminster to fuse together substantial powers and vest them in the executive. However, 10 Downing Street was far from being the only locus of this political phenomenon. The model’s institutional inclination to centralise power was prominently evident in British Asia from the beginning. At the transfer of power the deviation was especially pronounced, as even the ‘elective’ part needed qualification since if elections were held at all they were based on a highly limited franchise or leaders were effectively selected by key elite groups without nation-wide mandates often based on sectional interests like faith and family. Historically, the two-party system was seen as critical to the practice of Westminster government. Eastminster, like much of the Commonwealth, did not exhibit such conditions to make a two-party system operable. This situation was not helped by no serious thought being given to alternative voting systems in place of the traditional majoritarian ‘first past the post’ method. More often one party dominated politics such as the Muslim League and Indian National Congress, or coalitions of elites such as Malaya’s Alliance or Ceylon’s UNP created with the purpose of receiving power from the colonial masters, rendered Opposition a lonely and heroic occupation. The demographic facts and contemporary fissures of decolonising Asia made bills of rights much discussed as tools to assure minorities and restrain executives. Some states like India adopted fundamental rights provisions in their constitution while others went for non-discrimination clauses instead. Whatever path taken Eastminster provided few incentives to the centre/majority to protect and accommodate minority feelings. In Sri Lanka, for example, the linguistic rights of a major minority were removed by a parliament dominated by parties seeking the majority community’s support, and went through requiring just a show of hands and without breaching the constitution. Throughout Asia political realities dictated that minority rights were ultimately secondary to majority ambitions and realities. Politically the majoritarian mechanics embedded into Westminster suited the Eastminster leaders, who invariably came from the dominant group in their society. Minority rights, whatever their legal status, owed their success or failure to the precarious realm of the political exigencies of the centre, which often functioned without credible minority representation. Eastminster worked with the Damoclean threat of suspending both reality and rights. Almost two-thirds of the Republic of India’s 1950 constitution’s articles consciously and acquiescently transferred provisions from the Government of India Act, which, of course, was initiated, debated, scrutinised and assented without any real Indian involvement. The most controversial elements appropriated were the emergency provisions, which Indian nationalists had with good reason spent much time and ink decrying the colonial power for using to retard Indian rights and suffocate the democracy. As Kevin Tan argues, those Asian nationalist leaders who protested against emergency powers during the colonial era were also quick to ‘accept and adopt’ the same powers and thus the process of decolonisation created a ‘structural legacy that treats as normal the exceptional situation of emergencies’. In the chaotic times that followed independence the creative use of conventions, so intrinsic to British constitutional life, proved valuable to Asia’s governing elites as a means of stifling opposition. In Pakistan, for example, in defence of the Governor-General’s forced dissolution of the legislature in 1954 seventeenth-century English precedents that included Oliver Cromwell, James II and the co-regents William and Mary were used to convince the Federal Court in a 20th century South Asian state founded with Islamic ideals. In 1950, in terms of population, the United Kingdom, Canada, Australia, South Africa and New Zealand combined was just a fraction of Asia’s size, with only a fifth of the population of the Asian states of India, Pakistan, Ceylon, Malaya and Nepal. Yet, the study of their common constitutional heritage and place in the Westminster corpus has been largely invisible. The examination of historical Eastminster is an attempt and approach to rectify this large gap. It is not claimed that the above give a full picture of the British constitutional legacy in Asia, but the argument is strongly proffered for the inclusion in the study of the Westminster model and more attention from history, law and politics especially. The five deviations outlined above only give a small flavour for Eastminster’s conceptual and empirical distinction from the ‘traditional’ settler cases. The inter-related deviations show how commonplace assumptions and ‘beliefs’ of Westminster can be challenged and interpreted differently when seen in the Asian context. This post is based on Dr Harshan Kumarasingham’s chapter, ‘Eastminster – Decolonisation and State-Building in British Asia’, in H. Kumarasingham (ed. ), Constitution-Making in Asia – Decolonisation and State-Building in the Aftermath of the British Empire (London, Routledge, 2016). 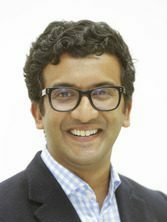 Dr Harshan Kumarasingham is a Researcher at the Max Planck Institute for European Legal History, Frankfurt and the Institute of Commonwealth Studies, University of London. This post originally appeared on the Constitution Unit blog, and is reposted here with thanks. This entry was posted on September 29, 2016 by Constitutional Law Group in Comparative law, Constitution-Making, India, United Kingdom and tagged British constitutional legacy, British rule, Eastminster, Malaysia, Nepal, Pakistan, Sri Lanka, Westminster model.